Your CDs, DVDs and Blu-Ray discs are rotting CDs Are Not Forever: The Truth About CD/DVD Longevity, "Mold" & "Rot" CDs Are Not Forever: The Truth About CD/DVD Longevity, "Mold" & "Rot" The digital age has revolutionized the way we handle information. Never before could humankind record and store so much information and in such diversity. 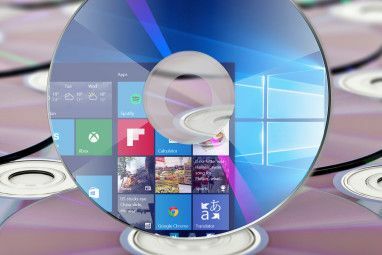 While the amount of data has increased exponentially, the predicted life... Read More and optical discs as such are slowly disappearing Saying Goodbye: 5 Alternatives To The Optical Disc Saying Goodbye: 5 Alternatives To The Optical Disc With computers growing smaller and lifestyles going mobile, less devices offer sufficient space for internal optical drives. Presently, the market is kept afloat by Blu-ray consumer home video sales, but in terms of data storage,... Read More from the market. ISO What Are ISO Files & How You Can Create, Use & Burn Them For Free In Windows 7 What Are ISO Files & How You Can Create, Use & Burn Them For Free In Windows 7 ISO files can be created from any CD or DVD you have lying around. They’re called "disc images" because they’re an exact image of a disc. An ISO file contains an exact representation of the... Read More and other image file formats, however, are here to stay and are a good way to back up existing optical discs. Once the original disc has degraded beyond repair, you can burn its image backup to a new disc. Or you could give your discs and your wallet a break and just read the data directly from the hard drive. But how do you read ISO files? Enter WinCDEmu, an open-source CD, DVD, and Blu-Ray disc emulator, which allows you to virtually mount image files of optical discs on your computer, to use them as if the physical disc was inserted on a local drive. WinCDEmu is a Disc Image Tool listed on our Best Windows Software page. let’s you create ISO images via Explorer context menu. This is probably the most simple tool you will ever install and use. Once installed, you can instantly mount image files. Double-click on an image file and WinCDEmu will load a small ‘mount disc image’ window with only a few options. You can choose a drive letter, select the disc type, disable autorun, reserve the drive letter (keep drive after restart), and let the tool manage drive letters automatically. Once you click OK, the image will be mounted, meaning it will open as if you were running the original disc. You can further simplify the use of WinCDEmu. Launch WinCDEmu settings from Program Files or by clicking the … button in the window shown above. Select Let Windows manage drive letters automatically and you won’t see the Mount a disc image window again. If you do want to see it again, right-click the image file and click Select drive letter & mount. To increase safety, you can also check the option Require administrator rights (UAC) to mount an image. To unmount an image, go to your Computer, i.e. where you see the list of devices with removable storage, right-click on a mounted image, and Eject. 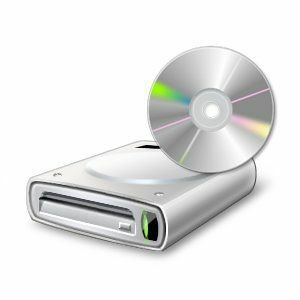 To create an ISO image from an optical disc, insert the disc into your optical drive, right-click the disc in the list of devices with removable storage, and select Create ISO image from the menu. 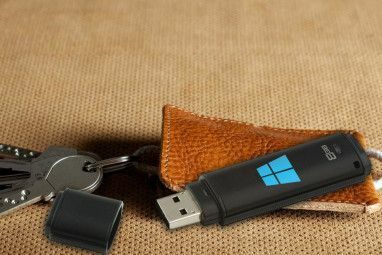 Choose a storage location on your hard drive and WinCDEmu will begin to save an ISO file. While the file is written, you can adjust some settings. How Does WinCDEmu Compare To Virtual Clone Drive? I recently reviewed Extend The Life Of Your Optical Discs With ISO Backups & Virtual Clone Drive [Windows] Extend The Life Of Your Optical Discs With ISO Backups & Virtual Clone Drive [Windows] There is absolutely no reason why you would still want to routinely run games, movies, or music from optical discs. 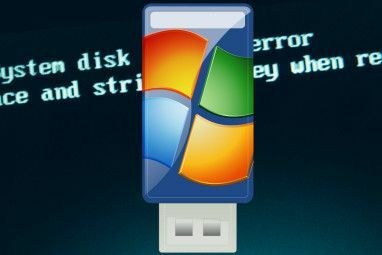 Inserting, ejecting, and switching discs is a nuisance and subjects both the drive and the... Read More Virtual Clone Drive, a similar tool, which also made our Best Windows Software page. The two programs essentially do the same thing, but slightly different. Virtual Clone Drive differs from WinCDEmu in that it offers a System Tray icon, through which you can mount and unmount images. Virtual Clone Drive also lets you pre-mount virtual drives without content to reserve drive letters. What Virtual Clone Drive does not support is creating ISO images. How do you manage your optical discs? Have you discovered the benefits of image files and virtual drives, yet? Explore more about: CD-DVD Tool, Disk Image, Virtual Drive. Hi, this is very easy to use, but where is the virtual drive mounted? There seems to be no way of choosing which HDD drive to put it on and no way to see where it is. I had a SSD for drive "c" and don't want the virtual drive on it. So how do I mount it on one of my HDD discs? You can use PowerISO as an alternative if you still never get how to use WinCDEmu. very nice & simple software ! I used Alcohol 120% back in the days of playing with emulator. Cracked, of course. Nowadays I use freewares like Alcohol 50%. I have been using WinCDEmu in windows 7 since I upgraded to windows 8, I no longer need it. There is option to mount iso images on windows 8 in default no need of any other software. There's an outside chance you can use something similar under OSX. Thanks for that, Adam! Was this meant to be in response to Bob? I generally use WinMount, but mainly just because it doesn't leave an empty drive letter when not in use.. I have used Alcohol52%, for a while. It has image management included, meaning that you can keep a "library" of images and choose from there. You can enable a up to 31 virtual drives (!) With the full version Alcohol120% you can also have BD, DVD & CD burning capabilites. The problem with this software is that it is rather expensive. At 39 (that's Euros!) for Alcohol120% a piece, I'd rather go for the free Alcohol52% version. OR get this WinCDEmu recommended here. Seems like this tool would be the logical one to use because it creates ISO files as well as mounts them on virtual drives. I've been hoping for a tool like this and now it's here! Thanks for the article. I’ve always used PowerISO and Daemon Lite. Been searching for an alternative to Daemon tools for a while now. I'll definitely try this out! I've always used Virtual Clone Drive and have never had a problem. This looks like a really important article but I now suddenly feel out of my depth. Virtual drive, ISO file, mount disc image, optical disc. I have tried to find out for myself but then get new terms thrown at me. Oh wow, sorry Gary! I did link to some articles with background information above, but I'll try to explain more clearly. ISO files are created when you save or back up a CD, DVD, or Blu-Ray disc to your hard drive. So an ISO file is a copy of a disc, aka a disc image file. ISOs are typically burned to a CD, DVD, or Blu-Ray disc (aka optical disc) and then that physical disc can be read using a physical CD, DVD, or Blu-Ray drive (aka optical drive). Now what do you do when you don't have an optical drive in your computer? With the abundance of netbooks and ultrabooks that's quite common these days! Well, you use a computer that has one to create a digital copy of your optical disc, i.e. an ISO image. Then you transfer the ISO file to the computer without the optical drive and use software to read it. The software creates a virtual drive. The ISO file is loaded into that virtual drive (aka mounted). And that's how you can read a CD without a CD drive...and without a CD for that matter. Thanks - I've now got enough courage back to start investigating my new PC. Very clear explanation. Is there MAC version on the horizon? WinCDEmu has been around for quite some time. I doubt they will develop a Mac version. Unfortunately, I'm not a Mac user and couldn't find a similar tool on our Best of Mac Software page. However, someone on MakeUseOf Answers might be able to point you to a Mac alternative. You'd just have to ask for it. Good luck! I have been using WinCDEmu since a couple of years. I started with finding an alternative of Daemon Tools, which I found not as good as it is somehow, a bit too 'complicated'. Until last year, I couldn't find any update on the portable version, yet it was still a very handy tool as I could mount my portable hard drive or pen drive as a CD or a DVD. It still beats Daemon Tools for its minimalistic design and portablity, which I found less in the former. Now, since ultrabooks might ditch disk reader/burner in future, tools like these will help us in both preserving and using those disks as normal. FYI, one can use WinRAR for opening ISO files, but it can't mount them as a drive! Windows 8 does this natively by the way. Great! didn't knew that. Another good point for W8. Thanks for this piece of information! Gotta admit I haven't upgraded to Windows 8, yet. Tech writer? what are you waiting for ? A compelling reason to spend money? It's not like I get stuff for free. Besides, I don't see a point in upgrading to Windows 8 on my laptop; it doesn't have a touch screen and works perfectly fine with Windows 7. I completely agree. Vista was an absolute disaster, but since Windows 7 I have been completely satisfied with my Windows operating system. I see absolutely no reason to upgrade. I get Microsoft's strategy and move toward mobile and tablet computing, and with that in mind the release of Windows 8 makes sense. For my desktop though, Windows 7 is satisfactory and I have yet to be convinced that I will benefit from an upgrade to Windows 8. I've been using WinCDEmu for the better part of a year now. Looking back, I can't believe I stayed with Daemon Tools for so long, through so many PCs, so many versions, so many troubles. Been using WinCDEmu for almost a year too since I first read about it. It's free and it works so no complaints here.